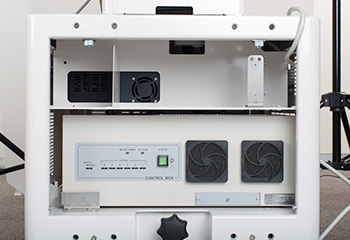 ●The accompanying software provides superb visibility and usability, making the operation and instruction of NEXTAGE easy with the image recognition system. 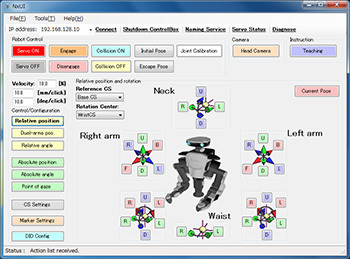 GUI allows you to operate the robot intuitively. employs the tried-and-trusted vision software. allows programming in the .net development environment. Copyright © KAWADA INDUSTRIES, Inc. All Rights Reserved.